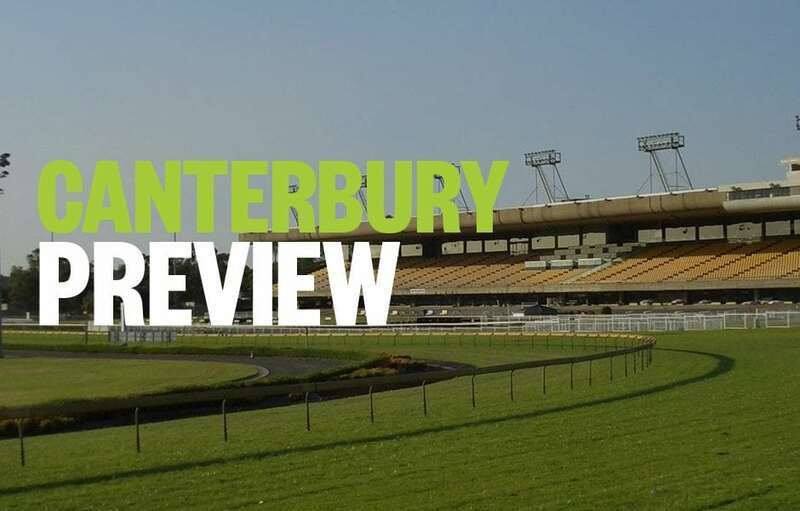 Form student, RIC CHAPMAN, previews Friday night’s Canterbury meeting, with horse racing tips & analysis for all eight races on the card. Good luck, punters! Not much known about most of these but what we do know is that BELITSA and ZOURIANA have talent. They have both raced with Belitsa running gamely into 2nd spot in a similar race while Zouriana got lost early when near last to the bend and flashing home for 5th over 1000m in Saturday grade. Will love this extra journey. EDISON looked smart in recent trial sitting 3-deep all way. CANZONET looks promising although the outside draw is a concern. Showed marked improvement hitting the line strongly when 2nd at the provincials last start. Same grade here and is 3rd up now. SIR OWEN looks to appreciate it a little longer but was strong when 2nd this grade last start here when resuming. Big show. DUNBRODY POWER is 3rd up here and will dash late. Will get back but has talent. LEATHERHEAD is 2nd up here. A shade disappointing when resuming and 6th this level last start but is better than that and stable is flying. SCHNAPPS is fast and honest, two valuable weapons around this circuit. Is fit and will take beating while GREAT DANGER looks very promising too winning 2 of 3 starts to date in the bush. A very even affair. KOONUNGA is your typical mare in form and as such should be supported. Has won past 2 this grade and gets a 2kg weight allowance. Big danger. SOUL STAR rocked home this grade when on debut in Sydney last start to grab 3rd. Experienced now in Sydney so looms the largest. Fascinating race. CISCO BAY has grown a leg since arriving at Kristen Buchanan’s yard and will again prove very hard to catch as he did last start when winning similar race. Bush horse CHARLIE ROYALE is racing in career best form and is very strong. Bound to be right in this finish. Lightly raced BREAKDANCE is improving with racing and won first up in maiden grade last start but won well. Watch market. BOMBARDING and INVINCIBLE GANGSTA are very similar types and both are last start winners in this grade. They should take beating. TORPENHOW is capable, in fact looked a top liner 16 months ago but hasn’t gone on with it. Resumes here and should flash late. This is a very competitive race. EVER SO NATURAL goes well this track and in this grade. Has placed 3 of past 4 so is in form too. DON’T LEAVE ME OUT has stamped himself urgent of late winning both races this time up since coming to Sydney. Bound to be in this also as he is strong late. TONSOR is lightly raced but racing consistently is also talented and will be in the hunt too. CHALK is consistent in this grade. Dives toward lead and generally hangs around there all the way in this grade. CLEVANICC gets a welcome 2kg relief here and following a gutsy win this grade coming home hard, that makes him a big shot here. ZEPPELIN is an on pace runner who is in form. Bound to take running down. This looks the trifecta.